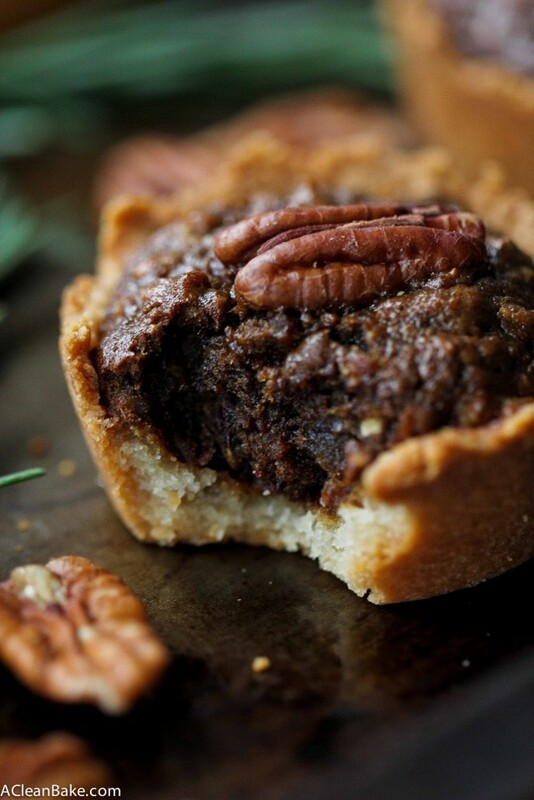 Where did this pecan pie thing come from? What is this newfound obsession I have with all things encrusted with a sweet, slightly caramelized filling and a crunchy pecan top? 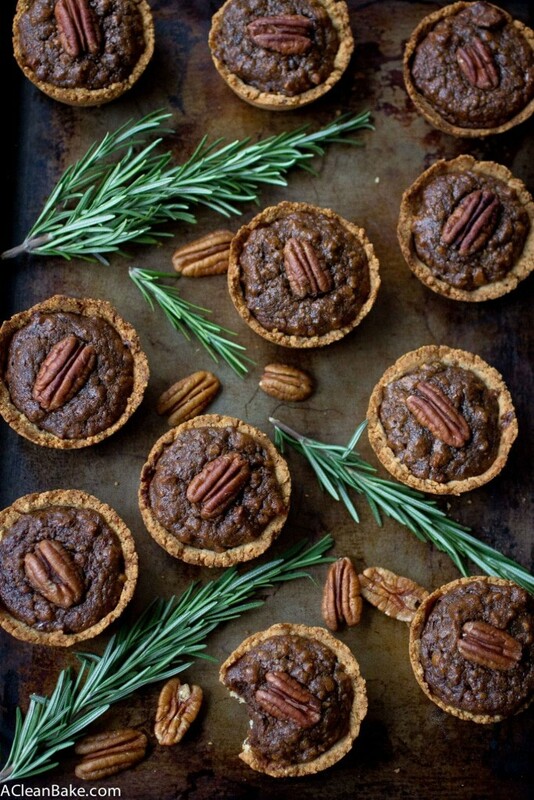 I never thought I would have chosen pecan pie as my desert island pie of choice, yet here we are with with mini pecan pies, the second riff on pecan pie in as many years – and believe me, were I to leave my self control by the wayside and give in to my impulses, there would be many more. Ironically, of course, there is no traditional pecan pie on this site – yet – so that will probably be next year’s addition. For now, let’s stick to the party food version of our (I hope you don’t mind me being presumptuous) favorite pie. 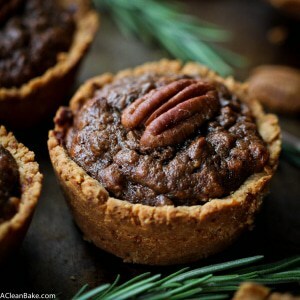 These cute little palm sized versions are the full pecan pie flavor packed into a 3-bite package. The crust acts like a built-in plate and there is no fork required, making them ideal for a cocktail party or holiday open house. There is no special equipment required, unless you count a standard muffin tin and a food processor as special equipment, but I’m assuming you probably have both of those by now, so you should be all set. 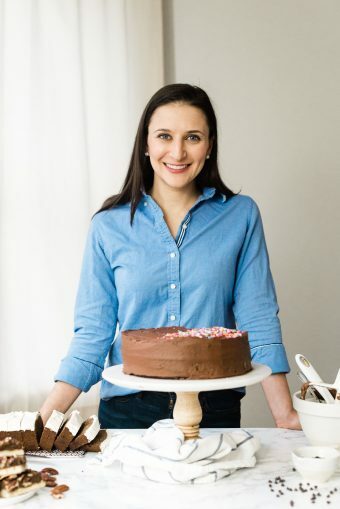 All you have to do to create these pies is make a batch of my favorite gluten free and grain free pie crust with a little bit of granulated monk fruit sweetener or granulated stevia to sweetened it up, and press it into a well-greased cupcake tin. While the mini crusts are pre-baking, you make the filling by throwing all of the ingredients into your food processor. It couldn’t be easier. Then you fill the crusts, top it with a pecan half, bake and you’re done! Don’t miss bringing these to your next holiday party. Your fellow guests will thank you! 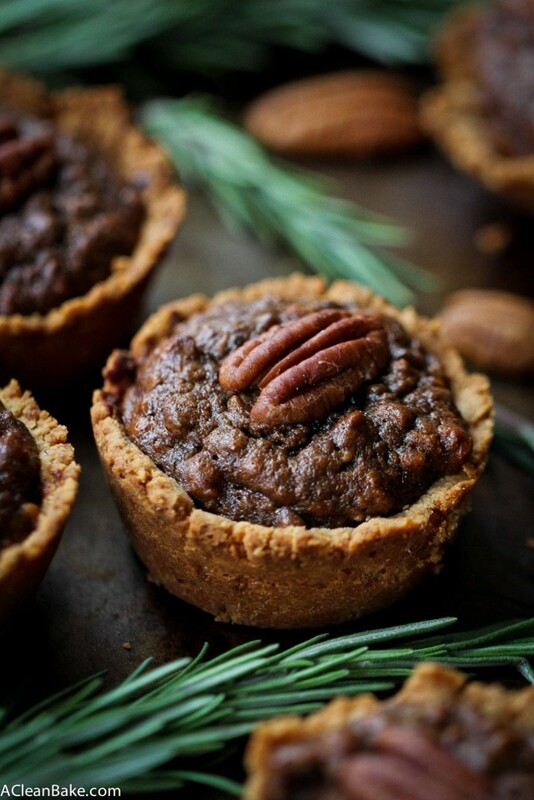 Grain free, gluten free and naturally sweetened mini pecan pies that come together after a quick spin in the food processor! 1 batch grain free pie crust (add 2 Tablespoons granulated monk fruit sweetener or stevia). Do not prebake. Liberally grease a 12-compartment cupcake pan. Divide your pie crust dough into 12 portions (about 2 1/2 Tablespoons per portion), roll into a ball and flatten into a disc. Press one disc into the bottom of one of the prepared compartments of the cupcake pan, then use your fingertips to work the dough halfway to 3/4 of the way up the sides of the compartment to form a little dough cup. Repeat with the remaining compartments, then transfer the pan to the fridge to chill for at least 30 minutes. Pre-bake the dough cups for 6 minutes, then remove from the oven and set aside. Keep the oven preheated to 350F. In the bowl of a food processor fitted with the "s" blade, puree the dates and eggs until the date pieces are finely chopped. Add the butter, molasses, maple syrup, salt, vanilla, cinnamon and nutmeg and process until combined. Scrape down the bottom and sides of the bowl (and under the blade, if necessary) to make sure everything is evenly incorporated. Add the pecans and pulse about 10 times to chop them finely. Divide the batter among the 12 prepared, pre-baked mini crusts. 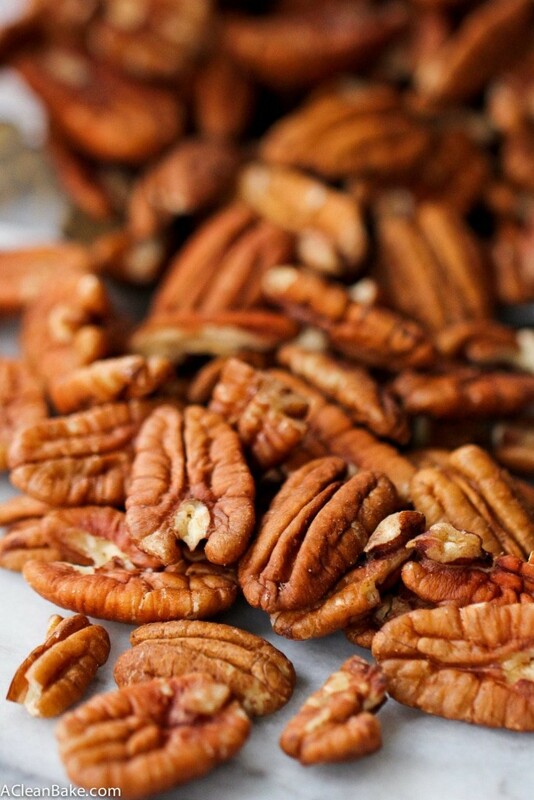 Top with a pecan half, or roughly chopped pecans, if desired. Bake for 28-30 minutes, until pies are domed and firm to the touch, and the crust is slightly golden around the edges. Remove from the oven and let the pies cool in the pan for 5-10 minutes. They will begin to pull away from the sides of the pan, which will make them easier to remove. When they're cool to the touch, gently remove them from the pan and transfer to a wire rack to cool completely. This is the monk fruit sweetener (the brand is Lakanto) that I use and recommend. For a dairy free version, use coconut oil instead of butter. If you don't have maple syrup on hand, replace it with an additional Tablespoon of molasses. If you have trouble getting the pies to release from the pan, run a thin knife around the perimeter of each compartment of the pan to loosen them. Store leftovers in an airtight container in the fridge for up to a week, or in the freezer for up to 3 months. These mini pies are just adorable! Pinning! Those look amazing! I like the idea of using dates in the filling, I imagine that lends it a nice texture / sweetness. Will have to try that sometime! Yes, they are great in the filling! They give the pies a slightly caramel-ish flavor. It’s delicious. Awww! My mom used to make these when I was a little girl! I think she called them pecan tassies (???). We are visiting my parents in January and I am definitely going armed with these. Thank you Nora! Oh that’s so funny! I have never heard of pecan tassies but you’re absolutely right! I’m going to update the recipe title accordingly. Thank you! !